Ok, so learning to drive can be a daunting experience and a bit of a chore for some, not everyone one will want to drive, and for some the environmental effects of having cars on our roads will put them off. 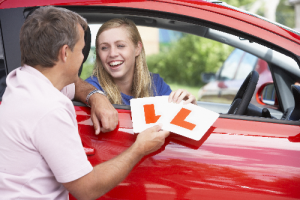 in this post I am going to give you some very good reasons to get learning to drive. Driving Is a Live Long skill which will come in handy in years to come. Having a driving license gives you independence and free dome. Can you think any other transport which takes you from door to door? (other than a bike, which isn’t practical for long distances or in the rain and snow) If you learn to drive you have the freedom to travel where you want and when you want. You don’t have to have to beg your parents/partner or relatives for lifts. Even if you don’t own a car; you can always hire one or joining a car club can be both more practical and economical if you only need to use a car every once in a while, then this would be a perfect choice. Bet you didn’t think i would be coming up with this did you? but yes, your driving license is a easily portable piece of Identification. you can have this in your purse or wallet wherever you go.